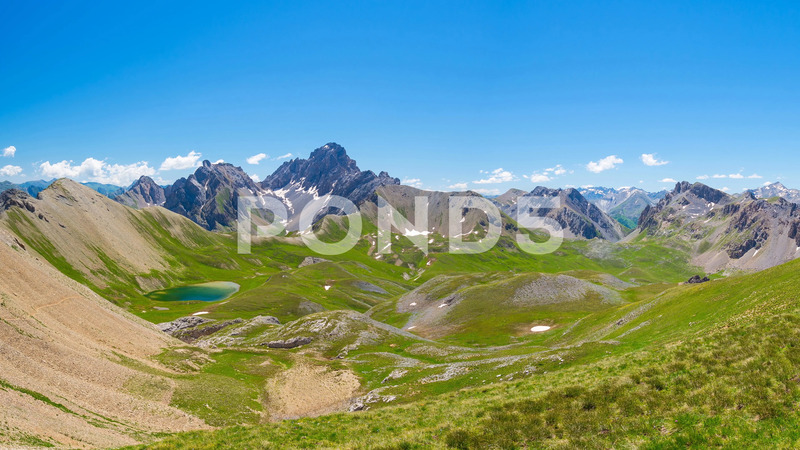 Panorama From Above On The Italian French Alps. Description: Panorama from above on high altitude mountain peaks, green meadows and blue lake in idyllic uncontaminated environment once covered by glaciers. Summer adventures and exploration on the Italian French Alps.